Amouzagar S, Mojaradi Z, Izanloo A, Beikzadeh S, Milani M. Qualitative Examination of Health Tourism and Its Challenges. Int J Travel Med Glob Health. 2016;4(3):88-91. doi:10.21859/ijtmgh-040304. 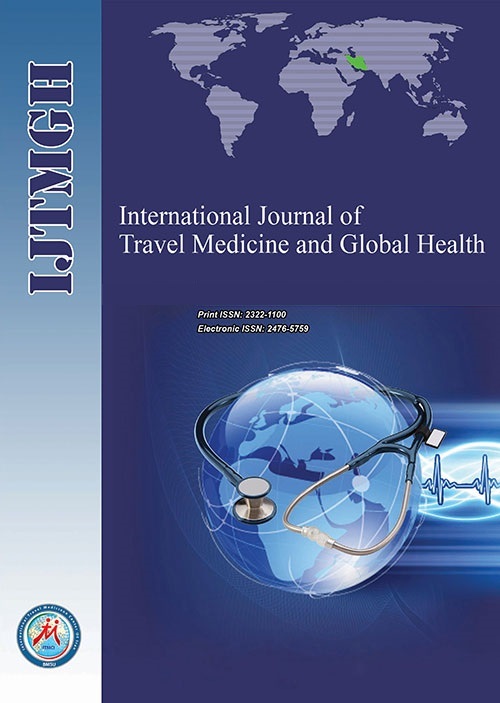 Rokni L, Rezaei Mahmoudi M. Codes as Barriers of Marketing Health Tourism. International Congress of Advances in Hospitality and Tourism Marketing and Management; Turkey; 2011:630-634. Deloitte Development LLC. Medical Tourism: Consumers in Search of Value. Washington DC: Deloitte Center for Health Solutions; 2008. Jabbari A, Delgoshaei B, Mardani R, Tabibi SJ. Medical tourism in Iran: Issues and challenges. J Educ Health Promot. 2012;1:39. doi:10.4103/2277-9531.104809. European Union. Directive 2011/24/EU of the European Parliament and of the Council of 9 March 2011 on the application of patients’ rights in cross-border healthcare. Off J Eur Union. 2011. http://data.europa.eu/eli/dir/2011/24/oj. Pirillo I, Amenta F, Sirignano A, Ricci G. Cross-border healthcare: Implementation of Directive 2011/24/EU and National Contact Point in Italy. Travel Med Infect Dis. 2017;18:79-80. doi:10.1016/j.tmaid.2017.06.005. Den Exter A, Hervey T. European Union Health Law: Treaties and Legislation. Maklu Publishers; 2012. Rezaei-Hachesu P, Safdari R, Ghazisaeedi M, Samad-Soltani T. The Applications of Health Informatics in Medical Tourism Industry of Iran. Iran J Public Health. 2017;46(8):1147-1148.